It is not at all unusual to see yerba mate being consumed in South American cities like Buenos Aires, Montevideo and Assunción. It´s a fact. Just take a walk around any neighbourhood and you will see mates everywhere: some made of gourds, some made of wood and others improvised out of plastic water bottles. Recently, however, I watched a documentary about the war in Syria and as the reporter went on to talk about the instability there, I couldn’t help, but noticing a couple of materos in the background. 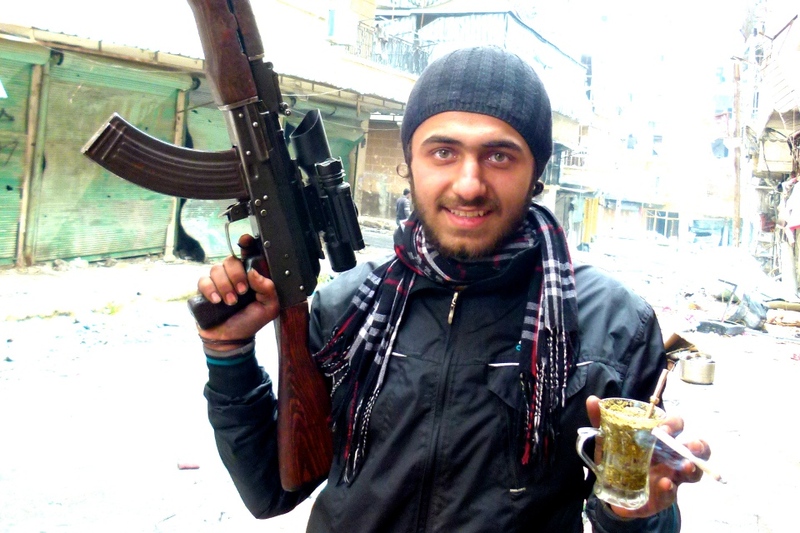 At first I thought they were drinking something else, something Syrian, but the resemblance was just too great to be a coincidence. After a quick google search for “yerma mate + Syria”, my initial suspicion was confirmed: they do have yerba mate in the Middle East! How did yerba mate arrive in the Middle East? I guess to answer this question, we have to take a step back and talk a little bit about History. The first wave of Arabs came to South America around the 1860s. Around this time, Pedro II Emperor of Brazil travelled to modern day Lebanon and was amazed with the culture he found there. Upon his return to South America, he arranged for several Arab immigrants to settle in regions bordering Argentina and Paraguay (modern day Parana). Around the same time, many other Syrian and Lebanese immigrants were making their way into Argentina in order to escape persecution by the Ottoman Turks and the Italo-Turkish War. When they were first processed in the ports of Argentina, they were classified as Turks because what is modern day Lebanon and Syria was a territory of the Turkish Ottoman Empire. Even today, we still call all Arabs “Turks” in most regions of Brazil. Around the 1940s the number of Arab immigrants, mainly from Syria and Lebanon, increased again because young people were called to fight in World War II (Syria and Lebanon were French colonies); this number increased further during the Lebanese civil war, which began in 1958. Finally in the mid 1970s, the number of immigrants decreased dramatically, due to the poor instable economic situation of most South American countries and the oil boom in Arab countries. It was also around this time that many Lebanese and Syrian immigrants returned to their homeland, taking with them the acquired habit o drinking yerba mate. Today, Syria remains the biggest importer of yerba mate in the world, importing 15,000 tons a year. It is mostly the Druze community in Syria and Lebanon who maintain the culture and practice of mate. Nice Post! May I know what documental were you watching? 🙂 It would be of much help for a project!